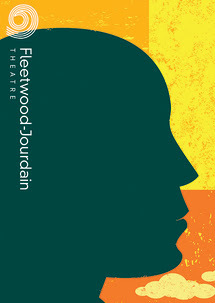 Founded in 1979, under the name of the Foster Community Theatre, Fleetwood-Jourdain Theatre has been thrilling audiences with over three decades of unique, inspirational and invigorating African American and African Diaspora-centered storytelling. From original plays to the best of Broadway, Fleetwood-Jourdain Theatre remained committed to supplying the very best in theatre. "Umoja!! ….Working Together in Unity" is the foundation from which FJT began and continues to thrive! It is our mission to present powerful, thought-provoking, community-centered Theater Arts programming with a commitment to diversity and creative excellence. We are dedicated to providing a nurturing and creative environment for directors, playwrights, set, light, and costume designers, as well as for experienced and novice performers. In this positive environment, they can develop their skills and fully express their talents. The Fleetwood-Jourdain Theatre is funded in part by the Illinois Arts Council, A State Agency. Signup for our monthly newsletter the "The Fourth Wall" and stay up to date with the Fleetwood-Jourdain Theatre. For more information, please call 847-866-5914 or 311 (847-448-4311 outside Evanston). Enjoy three plays and two concerts, along with other specials announced during the season. These Premium Gold Member Cards make great gifts, even if that gift is for you. Shows and Concerts take place from June-August at 3:00pm or 7:00pm. For more information call 847-866-5915. Purchase your Premium Gold Member card online now! eve of his assassination in 1968.
are discovered, generational differences exposed and burning truths lay bare. Ballerina is a gift to everyone. you are a true lover of blues music. through many operatic compositions by Black female composers. decadent desserts and a DJ spinning tunes so we can dance the night away.